Justin: it is a huge honor to interview you and let’s just delve right into this. I’m interested in learning, what’s your background as a dentist? Dr Phelps: I’ve been in clinical practice for over 13 years. I graduated from dental school in 2013, I started out in a little old house that I, and the original partner that I had started with, had renovated to a dental office. And it was kind of unique in that we had a true fee for service office, so if our patients, you know we charged them $1200 for a crown that day, our patients would pay us $1200 that day and then we would file their insurance and they would wait on the money over the next couple of weeks, so it was kind of a unique situation. And over the next few years, I’d say about 7 years, I was about to grow our business from 4 locations, from 1 and grown from about $600 000 in revenue, to about $6 500 000. We had quite a rise, and then I did something crazy, and that most people would find insane, is that, I sold 2 of our most successful practices, the 2 with the least amount of debt, so they had the most profit to them, and I took over 2 of our dental practices that were the highest debt practices, that were producing the least amount, and kind of created some challenges for myself, but I did that because I felt like they had more potential for the 2 if I could focus on their capacity, instead of growing for growth sake. And so over the next 3 years, I grew those 2 practices from $1.6 million in combined revenue, to just over $6.2 million in combined revenue. So basically I had been able to do with 2 offices, what I had been able to do before, with 4 before. I’ve actually just wrapped up the sale of one of those 2 offices, for profit and now have a plan to; I’m trying to do $6 million with one office. Dr Phelps: yeah, definitely, I would definitely say it was within those first couple of years in practice, because the dentist I went in with had had associates in the past, but none of them seemed to work out, so I kind of realized in that moment, kind of 2 ah-huh moments in my marketing if you will, that why that didn’t work was because, he didn’t have enough patient’s for his other associates, and he thought that if he would just back down his time and put somebody else in the office, then his patients would just go see the new guy, but in reality is, they won’t do that, they’ll just wait and not get their treatment done until their dentist can see them. So, these other guys didn’t understand how to market themselves and how to get more opportunities in front of them. So, my ah-huh moment was when I really saw the power of using my marketing ideas, to get myself more opportunities, and the benefit of that was, I doubled the business that first year, it went from $600 000 to $1.2 million and so I realized very quickly ‘hey, this marketing thing can work!’ and it can work well as a result. The second ah-huh moment came, going back to when I sold those 2 offices for profit and took over my least producing ones, you know I realized, we’re spending $36 000 a month in marketing, and only getting 60 new patients for my efforts, 30 at one office and 30 at the other office. So I knew I had a huge problem, I knew my marketing wasn’t working for what I needed, but I didn’t know why. So I set out to create something to give me those answers, to get the data that I needed to make smart decisions. And my next ah-huh moment for marketing, was getting that, once I had the data and saw what was going on, it really changed the scope of how I do marketing and how effective it can be. Justin: excellent, was there a time in your career, before you were a dentist, or at some point in your career as a dentist, where you started studying marketing? Dr Phelps: I didn’t really start studying marketing until I got out of dental school. I had all these ideas in my head on how I want to promote myself, and I knew basic advertising tenants but never had any formal advertising training, and I would say to date I still haven’t had any real formal advertising training, it’s been more of what they call ‘the school of hard knocks’ trial and error, and mistakes made and lessons learned, and luckily I’ve been able to recover from those mistakes faster than most would. Sort of stumbled upon somethings. But I’ve heard some get marketers out there like Dan Kennedy, and others, and I try to take away, you know little nuggets away from everybody out here taught from marketing, you know, on the few times that I did listen to somebody. Justin: excellent, you know you talk about the school of hard knocks; you know it sounds like you’ve got a wealth of experience in not only helping yourself, but helping other dentists’. Can you tell us a little bit about the training you provide, with respect to increasing case acceptance rates specifically, for instances, I think you have 2 top tips that I really have appreciate hearing about, on how to increase case acceptance rates. Justin: going up the stairs, definitely more energy. Dr Phelps: right? And if all things were considered equal and people had a choice, which do you think they would rather do, go up the stairs or go down the stairs? Justin: go down the stairs for sure. Dr Phelps: go down the stairs, and the question is, why? Well because there is a fundamental law in nature that applies to all of us, that is, what? things want to take the path of least resistance, right?, they want to choose the path that has less energy, and so, when we’ve been taught treatment plans, many times we’ve been taught to take people, and what I call; take them up the price stairs, “alright Mrs Jones, your option is this for $2000, this for $4000, this for $6000 and this for $8000”. The science of persuasion tells us that if we actually just flip that around, started with our biggest and best option and went down the stairs, in contrast, every number sounds better, so, not only are you going to sell more of your biggest and best option, by starting with that first, you’re going to sell more of every other option that you present that under that. And I’ve had practice, where we’ve, I can show you, we’ve actually increased case acceptance 340-540% of their $8000 highest priced option, okay. Then the question becomes, so that’s my tip number 1: start with the biggest option first, then take them down the price stairs from there. So if you’ve got an option of a Crown, or a filling to present, what should you present first? Dr Phelps: A crown, then you can talk about the filling after that, just by doing that, you’re going to get more people to go for the crown, because it’s the best. The second rule is that, if price is if price is an issue for somebody, then we have to control what they compare our treatment to. Because the danger becomes, and in dentistry, we have to assume, every bodies concerned about price, because people think we’re expensive, and that’s just their perception. Now I’m not talking about, or we’re not diagnosing their pocket book, we’re not misinforming them, we’re not telling them treatment we need because we don’t want the fee presented to be too high, whatever they need I’ll present it, I don’t care how big the fee is, the thing I’m saying is, because I know price is an issue, I can’t just start talking about what I want to talk about first, right. I can’t throw a number 2 on them first, I can’t say “Mrs Jones, your crown is $1200, that’s what you need’. Because what’s going to happen is, if I don’t say anything and just start with $1200, in their mind, they’re instinctively going to start comparing and contrasting that number to something else in their life, and they’re going to go ‘oh crap, my house payments aren’t $1200, my car payments aren’t $1200, I can’t afford that’ So, in a little over 5 seconds, you’ve got a mental ‘no, I can’t afford that’, and anything you say there after has been shut down, they’re not even listening. They may be shaking their head nodding, but ultimately they’re not going to leave with an appointment because of it, and that’s really what a no is; when they don’t leave with an appointment. So what instead is, that’s the danger, if we don’t control what they compare it to, they’re going to compare it to something that is not going to work out in our advantage. So the idea is, we need to anchor them to something else first, and then get into what we’re going to talk about. So one of the things I like to talk about is, I try to picture, what are the consequences of, if they don’t move forward with the treatment I’m recommending today, and flash forward in your mind a year from now, 5 years from now, 10 years from now, what’s going to happen to that tooth, is it going to get better, or is it going to get worse? Dr Phelps: Worse. How bad is it going to get, if 10 years from now they decide to fix it, to get back to where they are today, what is that going to take and how much is that going to cost? so the idea is, and in this case “hey Mrs Jones, you see this decay here, you see this thing in the center of this X-ray, that’s your nerve, if you don’t get to this soon, the decay is going to get to the nerve and it’s going to cause an infection, it’s going to cause pain, its gonna cause more time of work, and to fix it then, it’s going to take a root canal, build up, and a crown, and that’s gonna cost $3600 to fix”, so that’s your anchor, right. In their mind they’re gonna think ‘crap I can’t afford $3600’ because again, their still gonna compare whatever number you throw at them to something, but the good news is, guess what, where not there yet, if we can get to that soon, we’re only looking at a crown and that’s $1200 and after your insurance, it’s only $800, and we’ll take $400 today, and $400 next time. And we immediately go and try and schedule that appointment. Can you see how better that sounds? Justin: yeah, you went from, just coming from a dental patient perspective, you went from $3600 to $400 in one conversation. It kind of feels psychologically, correct me if I’m wrong, I think the principle is kind of like this: you just saved them thousands of dollars by consulting with them. Dr Phelps: and this is why this is ethical, in doing this approach, is because we’re telling them the truth, this is really going to happen to your tooth, if you don’t do this, so why wouldn’t you want to do this today, if we make can save you time, effort, money, energy later, right. And too many times we’re focused on the question we want to ask them, which is ‘let’s schedule the crown’, but what actually matters more is what we say or do first, then what we really want to ask them. Justin: that’s really an incredible tip, because so many dentist listening and watching this show, I think, are going to benefit from that. Man, I can tell you, a lot of times, dentists’ and dental patients, are on a different wave length psychologically, and that makes sense. Dentists don’t want to be thought of as sales’ persons’, a lot of them don’t even want to be thought of as entrepreneurs. They want to be thought of as clinician, people who do great work and, that’s important though. Because if you can’t convince someone to take treatment, to accept treatment, you’re not going to have any cases to treat right. So, it’s a great, great thing that you’re telling us, I’m wondering are there maybe, could you list maybe three books that have influenced, I’m sure influence is one of them, that have sort of influenced your marketing philosophy? Dr Phelps: ah, well see, books from my marketing philosophy? I can tell you 3 books that have influenced my business philosophy for sure. The first one was ‘rich debt, poor debt’ you know, Robert Kiyosakis’ book, all about building passive income streams, so that instead of saving up all this money for a retirement nest egg that’s going to be ticking away as time goes on, what can I create that gives me income for life? Right, so moneys always coming in without me having to do anything. And that was an eye opener for me, from a business stand point, as an entrepreneur stand point. Definitely influence Dr Cialdinis’ book was huge, because it started putting language and science behind someone of the problems that I thought were going on in the practice and how I could use these things to approach them, and because it was based on science, that meant for me that it’s been tested, that means it’s been proven and more important, that means it’s reproducible. So, if I do the same things, it’s going to work just like it does in these studies, and that’s what I’ve been able to put into practice and to prove. The third book I’d say that probably influenced me a lot I’d say ‘conative connection’ and that was a book by a lady named Kathy Kolbe. And that book was pretty powerful, because it’s all about teams and how to build the right team structure. And how to define the persons nature instincts and abilities. That was another pillar of my success was, once I figured out my team, once I figured out how to hire the right people, once I had to make sure that I had the right person, sitting in the right seat on the bus, well then I could do more with this team and they could produce more together then another combination of teams I’ve had in the past. Right, so we could really start growing as well. So I would definitely say those are 3 of the biggest books that influenced me from a business stand point for sure. Justin: excellent, yeah, that’s great. I hope, you know, that the readers, or the listeners, are able to take advantage of reading those books, I’ll put a link to some of the books, in amazon, so you can go start there and buy those. You too, have a book, can you tell us a little bit, I guess you’re creating an update, so the books not available just yet, at the time of airing, so could you tell us a little bit about that book and when we can expect the updated, revised version? Dr Phelps: yeah, I’ve got the updated digital version already, so if you’d like to read it on your iPad or on in a digital format, then that is available, and then we’re working on getting it back to print, because we sold out of the first round, and then I decided well before we re-print another batch, let me tweak it slightly. Because one of the things you’ll learn about me and my Kolbe, if you understand that language, is, as a quick start, I’m always changing things, always trying to improve it and tweak it and whatever and so the book is called ‘Grow your practice with wine and cheese’ and it all kind of came about, it’s about, many of you have sat in a lecture before, or heard somebody talk about, ways that we can offset and protect ourselves from this corporate storm that’s taking over our industry, right. And if you don’t realise that the corporate storm is coming, I call it the Tsunami, then you need to wake up and realise that it is. And so you have to be on your marketing game, you have to make marketing and getting new patients in the door a science not a mystery. Okay, because if not, then you’re not going to be able to compete. My theory was that we’re not going to be able to compete in this insurance market, so if you’re in network with all those PPO’s, well as a sole practitioner, you’re going to get out competed, because these corporate groups who are on insurance plans get better reimbursements because they have 400 locations and 400 or 800 doc’s that are in network, so that means that their insurance pays them more for their claims, they got to pay you less as a result. So now you’ve got to work harder for less money. So my theory was, we’ve got to look for other types of patients out there, let them fight over the piece of the pie, where only 35% of the population has dental insurance, well who are those other 65%, what do they look like? Well the majority of them are 55 year and older baby boomers. Baby Boomers are the retiree’s, they have the cash to spend on their teeth, and they value their health and their looks and their willing to put their money on that. But there are a couple of barriers that are keeping them from coming in your office right now and spending money on it. Right, so a barrier that keeps them from coming in the office to start with and then a barrier that keeps them from spending money when they’re in your office, so what I tried to do was something called ‘grass roots marketing’, where I go to these retirement communities, active independent living, so I’m not talking about nursing home care, or assisted living care, just communities here active retirees are together, and I, once a month, I spend an hour of my time doing wine and cheese seminars for them. and I do an educational seminar on the top 5 dental issues affecting the aging population, and I tell them a little bit about ‘here’s where we are, and here’s why we’re different from other dental practices, for those of you that have insurance, great we work with it, for those of you that don’t have insurance’ which 90% them do not ‘let me show you about my dental savings plan’. so this is what I was getting back to before, we’ve probably sat at a lecture and people have told us about how you need to have an in house discount plan or a savings plan, but nobody recognize or realise how to sell the damn thing, okay. Well that’s kind of what I figured out, and how you do that is, you’ve got to go to these communities in person, give them the time, the educational seminar the wine and cheese, that’s re-prosperity, that’s one of Cialdini’s principles. If they like you, again that’s another one of the principles, again you’re more likely to get them over the hump of getting them in the door, okay. If you have a savings plan to offer the, that gets them over the price barrier that’s keeping them from coming in your office right now. And so my theory was if I could get them in the door, lower the price on preventative stuff, like their cleanings, exams and X-rays, then if we did find treatment they would move forward with it. So over a year, I sold almost over a thousand of these savings plans, at $299, and each person spent an additional $1243 each, on top of the $299. Dr Phelps: that was over $1.4 million in revenue in just one of my locations, for $135 in wine and cheese and an hour of my time and two of my team members, once a month. Justin: that’s incredible, you know, wow. So, okay, and your also very big on tracking results. So your actually the founder of ‘Call Tracker ROI’ and that is a really great tool for, when you’re putting out these numbers, you know $1200 or so, hey, man, you’re not just making these numbers up, you’re tracking them. Can you tell us a little bit about call tracker ROI? Dr Phelps: yeah, you know again, flash back to spending $36 000 a month in marketing and get 60 people for my efforts, and I had seven doctors I needed to feed to get patients in front of. So I had a big problem, so I decided I got to figure out what’s going on with my marketing, because I don’t know if it’s working or not, but I got to figure it out. And I called every call tracking company out there because I felt like the answer was on the telephone, and I felt that it’s not the ad’s not bringing in the calls, but I felt it was something else, but I couldn’t put my finger on what it was. So when I couldn’t find what I was looking for, with these other companies, they would kind of give us part of the answer, but it was really what I call the ‘half-truth’, it really wasn’t enough data for us to make smart decisions about what’s really working. So I decided to make my own platform and create my own software and stuff. And so when I started digging into my calls and tracking it, and I had live people listen to every call and then monthly give us a report, so in 5 minutes we can look at a snapshot and know what’s going on with our marketing. Is the ad bringing in enough quantity and quality of new patient calls that are scheduling, to justify, are they spending enough money in the practice to justify the ROI, for what we’re spending to get them, right, or is it the other side of the coin, what I call ‘lost opportunity’, are we not answer the telephone, are we not converting, and in my practice, I didn’t answer 220 potential new patient calls, from marketing sources, a month, that I paid to get, right. 220 potential new patient calls, we didn’t answer, went to voice mail, got a busy signal or the caller hung up. If we did answer the telephone, we only converted 24% of those calls to appointments. So, talk about a problem, now I see why I had to spend so much money to get so little people, because we’re not answering the phone and we don’t convert the ones we talk to. Justin: that’s huge you know. We’re going to do an interview with a different kind of service, having to do with answering the phone after hours, I tell you voice mail kills conversion, and the fact that you’re tracking these results is really, really important. You know I’m actually really interested because I do SEO for dentists and we’re always looking for a way to measure the ROI, you know, one of the biggest topic’s that I’ve been asked about is ‘how do you measure ROI, for SEO’ and that can be a little bit trickier then say, Ad words or Facebook `Ads or direct mail, or many other forms of advertising, so it’s a little bit trickier, but I’m definitely interested in learning a little bit more about Call Tracker ROI, because, man that’s so important. Because, you’re approach to marketing is, basically, if I understand it correctly, do what works, and the moment it doesn’t work, and the moment it doesn’t work, test something else, so you’re constantly adapting, you’re constantly trying new things. To our listeners you might say, don’t have a bias for or against any particular medium because I works or didn’t work for another dentist, just figure what works for your practice, which might be different from another practice, am I getting that right? Dr Phelps: yeah, because the truth is, you don’t know why it didn’t work for them, because if they didn’t answer the phone and they didn’t convert the calls, is that the ad’s fault? Dr Phelps: no, right, and I guarantee you, that’s probably why they didn’t convert, but again you don’t know what you don’t know, because if you don’t have the data, you have no idea what’s going on, so you have to track this stuff on way or the other, And again SEO’s a big component of that, that’s one of those things I’m a big supporter of, if anything I don’t even track the ROI on an SEO because I feel it’s too important, even if it’s just PR, if I can’t get my website in the presence of people searching for anything, then I have no chance to book anybody, you know what I mean. And even if today’s generation, if you’re market is older, they’re not finding you that way, then tomorrow’s generation they will, and the one after that, that’s the only way they’re going to find you, so the worst thing you could do is not be in the game and be so far behind that when the tide turns that that’s all they do, find you online, your left in the dark, trying to pay catch up. So I still feel like, no matter what you’re spending on marketing, you’ve got to have some money allotted in the budget for SEO kind of stuff. And my philosophy as you said is, I can’t guarantee that I can get you one thing that will get you 100 new patients, but I bet I can find five things that will get you 25 or 20 new patients each that will get you to 100. Dr Phelps: that’s right! We track and we do small tests, a small little investment, we track it well and see what working and what’s not and why. If the fish are biting, I call it ‘fishing with multiple fishing poles’ right, if the fish are biting, you feed it more, if the fish aren’t biting you pull up that pole and you throw it somewhere else. but eventually you’re going to have 5 or 6 poles, biting, not only in external marketing, but do some in internal marketing, go some in referrals, do some in grass roots stuff with these wine and cheese events. And I promise you, you can get to any new patient number that you need to get to, with the right quality and quantity, for your practice. Justin: you know I’m curious, kind of going off on a tangent here, but it’s in line with the calls, you know, recording calls and having live people listening to the calls, I actually did not know this, I recently learned from you that there are other companies and they are recording calls but they are not having human beings listen to the calls in every instances, and that’s something that you actually do differently from the rest of the companies that are call recording. Can you tell us the kind of impact that’s had, maybe a side by side of a computer listening to a call versus a live operator listening to a call? Dr Phelps: yeah, well the problem is the computer, it just, technology to date and artificial intelligence and the program that’s trying to pick up on the call, it can’t pick up on accents, it can’t pick up on slang, if there’s something going on in the background, it can’t tell what’s going on. It cannot differentiate the phone noises versus the background noise. So what these programs do, that you don’t see is, a category they dump you’re phone call into which is ‘unknown’, which is where the computer couldn’t tell you what was going on, but guess what, they don’t show you that data, right, and some time’s it’s over a third of your phone call volume is ‘unknown’, but when you actually get into those calls and listen to them, there potential, there new patient calls, okay, so I didn’t like it because again, it’s giving me half-truth but it’s not the whole truth. I need to know what’s going on with all of my calls, not just some of my calls. Justin: yeah, I have a, I don’t know if you’ve heard of this, voice to text is where you speak, but I actually have the reverse on my voice mail. You know voice mail takes so much time to listen to, us younger generation we just don’t do voicemail that much. And you know it converts it into text, so I can actually read the voicemail, actually see who it’s from, and what’s going on, and I tell you, I get the funniest results sometimes. Some of the messages and I know they’re not saying this stuff so I have to listen to the voice mail anyways, so yeah computers haven’t really caught up there yet, obviously the psychology of the dental patient is something that computers may not catch up to for a long time. So yeah, would you say, here’s one objection I’ve heard, a lot of dental offices feel like the recording calls are intrusive and they feel like they just don’t want that accountability there and they feel like ‘this is the way we’ve always done it’, which as you know might be one of the most dangerous statements in business today is ‘this is the way we’ve always done it’ and it kind of goes against the grain of everything we’ve been talking about, that, you’ve got to adapt, you’ve got to be accountable, and you’ve got to be able to improve, you’ve got to constantly be making improvements, but, what can you say for those dentist’s listening who say ‘you know I’d love to do this, this sounds like a great idea, I have no idea, I have no idea what my front desk is doing to turn away new patients, or reduce case acceptance rates, but I don’t think they’re going to like this”, have you dealt with dentist who are there? Dr Phelps: oh yeah, I had this with me own team, how do you think my own team felt when they found out I was recording their phone calls? they aren’t gonna like it, when you shine the light of accountability on people, certain employees, the ones that aren’t necessary the best employees, fight it, tooth and nail, they do anything they can do to avoid being accountable for their actions. Your better employees and you’re A employees and B employees, don’t fight it accountability they embrace it, because they want it, to be able to improve in their job. So the way I present it is this, I went to my team and I said “ladies, I’m spending $36 000 a month is advertising, we’re getting 60 new people for our efforts, who thinks that’s a problem”, have them commit to the idea that this is not good, who agrees with me that I need to figure out why? Dr Phelps: right so now they know it’s a problem, so using Cialdini’s consistency principle I’m locking them into a commitment that they agree that we need to get to the bottom of it. So I said “okay, to figure out the problem we need know what’s going on, on the telephone, so here’s what we are going to do, I’m going to record the new patient calls, now I know this is going to freak some of you out, the good news is, if your husband calls the main line, guess what, it’s not going to be record, these are only calls coming from marketing sources and people who called our tracking number. So if you mum calls, your sister calls, your husband calls the main line, we’re not recording that, I don’t care about those calls okay, I’m only trying to get to the heart of the new patient calls, because that’s were the problem is, and ultimately let’s say we listen to them and we figure out that the conversions are horrible” and I pick one of them out and I say “Tina, let’s say your 15% conversions on your new patient calls, whose fault is that, is that your fault or my fault?” and I don’t let them answer, I say “it’s my fault, because I had no idea of the hurdles you face on the telephone, I’ve given you zero training, I threw you at the front desk and said ‘get them in the front door’ like there was some magic wand you could wave to do that” but it’s actually very challenging to get some of them in the door based on some of the questions they’re asking us, unless you have the right strategies. I said “ultimately it’s my fault because I didn’t train you, id didn’t give you the tools you need to do your job, but now once I have the data, I’m going to be able to do that, and as a result, I’m not asking for perfection, I’m just asking for progress, okay? so if you’re 15% let’s take the data, let’s talk about how you can improve, and lets month if you’re 20% awesome, improvement, progress, the next month, over 25% fantastic” all I want to see is that they’re trying to adapt, they’re trying to change, even if it takes time. The good news for us that I found is, in every one of our new clients, and in every one of our clients, is when you get the data, and that’s one of the things we do, we give you the transcript on why they didn’t schedule the phone call, for that new patient call, ‘by staff members’, and you can see what each other their problems are individually. So I’ve proven that if you just share that data with them and just have a civil conversation about it monthly, and they know every month that the light of accountability is going to be on them, and we’re gonna talk about it, their numbers usually double, sometimes they triple their conversions, by doing nothing else other than just reviewing their data, okay. That’s the power of when you have that data, what you can do with it. Dr Phelps: oh yeah, and again, that’s what I tell people, ‘I don’t care what you’re doing, right, I’m not going to give you a judgement on it, I just want to prove whether it works or not for you, okay?’, and so, I usually poo-poo billboards every time in my marketing, I have like a 2 day marketing workshop that I do for dentists, and I usually tell them that billboards are terrible, they don’t work for 90% of the people that we track them for, but guess what, for 10% their killing it with billboards, so it’s not up to me to decide, let the data justify its experience, and if it doesn’t, pull up stakes and move out. I talked to somebody that’s all their doing is SEO and online stuff and they’re getting 60-90 new patients a month, I’m not seeing that in a lot of people, that’s like unheard of, that’s crazy. Justin: wow from one practice? Dr Phelps: yeah, one practice, 2 doctors in there, the real question is, dig into to the why are billboards working for those guys? Well they have a very powerful message, their message is they are an emergency clinic, so if you’re driving down the road, you’re in pain, you see their billboard, well guess what, that’s your market right, they’re more likely to call you as a result. So they’re hitting their niche’ perfectly as a result. Justin: yeah, I love this approach so much better and the fact that you’re tracking the results and you’re trying different things. Do you think that diversification is a pretty important thing to implement? I mean, when you talk about 5 different fishing poles, I think of doing a little bit of everything and testing it and do what works, would you say diversification is a virtue in dental marketing? Dr Phelps: definitely, because for 1, you never know what things are going to work; number 2; you don’t know why it’s not working. So if you find like you’re doing all this SEO and you’re getting a lot of calls but you’re not answering and you’re not converting, well now, it’s not the SEO’s fault that you keep doing it, but now if you capitalize on the lost opportunity, you’re going to take the ROI to a whole other level. And you know I don’t know if I mentioned this, but the biggest issue I have with dentists is, when I tell them about missed calls, they always think the same thing ‘oh were not missing any calls’, they always thing that, and every time I tell them ‘”look, I’ll take the Pepsi challenge with you all day long, I’ll run tracking, and I’ll give the first few months few if I’m wrong”, but we’re all missing calls from new patients. Our average office doesn’t answer 33-55% of their marketing based telephone calls. These are new patient calls you paid to get, they’re not answered, and their conversion rate is about 34% as well nationwide. So we’ve got a missed call and conversion problem, not necessary an ad generating leads problem. Justin: that’s really powerful, yeah, man, I’m interested in learning more, and where can our listeners and viewers learn more about ‘Tracker ROI’? Dr Phelps: yeah, it’s my username on Dental Town, and so I’m usually posting under that name. Yeah so I tried to make it simple, just describe what we do, we track calls, and then I want them to know the actually ROI, how many actually patients showed up in the practice from these advertisements and how much actually money do they spend in our practice and doesn’t that justify what I pay to get them. Justin: and this isn’t the first time you’ve spoken on this, you’ve actually, weren’t you nominated or awarded the best speaker at ‘Practice on Fire’ later year? And I think you’re speaking again this year? Dr Phelps: yeah, it was kind of an honor, you know, because we had about 12 or 14 speakers and we all had evaluations and reviews and I think 75 people out of the 120 that where there turned in their surveys, and I got 4 out of 4, I had a perfect score, from everybody, so it pays to all hear the speakers. Justin: oh man it’s such an honor to interview you here, that’s really incredible. I wish you luck at ‘Practice on Fire” pretty soon, are there any other speaking arrangements that you have coming up? 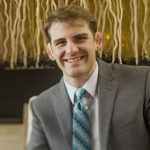 Dr Phelps: yeah, April 8th and 9th at Charlotte, I’m doing my 2 day persuasion workshop, so if anybody wants to learn the principles of influence, how I use these in my dental practice and how you can too, to decrease no shows, get more people to pay today, before they leave, or at least get them to pay by their first invoice, increase your referrals, I have a great internal referral system using 5 of the 6 principles of influence, that’s doubling or tripling peoples referrals in offices, and how to increase you’re case acceptance and how to take it to a whole other level, and if I can get more of your team members there, again, the faster you can get it implemented and the better it’ll before you’re practice, so that’s April 8th and 9th here in Charlotte. Justin: wow, that’s excellent. I’ll tell you, doing SEO is a great allegiance source for dentist, although I do an analysis before I work with anyone, because it’s really really important to know what you’re getting into, a lot of dentist don’t even want to touch SEO because they don’t know what it is, I help with that, And I’ll tell you, one of the best things to compound those efforts for SEO, is what you’re talking about, referrals, because when you get someone through SEO or another advertising method, you’re bringing in someone who tends to not know you’re other patients quite as much. So when you get a referrals from a second generation, someone who’s already been in your practice, those people tend to know each other more, so you tend to kind of cap off. Now you could already get referrals from someone who’s already an existing patient, it’s certainly possible and you do have those all-stars, and I’m sure you’re tracking those things as well, as many dental software’s do. But, I’m really blown away at the idea that SEO and other forms of advertising can actually bring you more referrals per patient, because, it’s like a who new tree of people, it’s a whole new vein of people and I love it. I love the fact that I’m able to bring someone that has probably never heard of your practice, but for the SEO. So, if we were able to compound that with the kind of training that you’re providing, man think of all the referrals that you can get from people who would of never heard of your practice. So I definitely hope they check you out, as far as you’re new print book and the digital version, can you tell us where we can find that again? Dr Phelps: yeah, it’s at www.WineAndCheeseNewPatients.com, and you’re right and people ask me, I didn’t mention this part; I went from 60 new patients a month, to averaging over 300 a month, within 3 months, okay, by decreasing my marketing cost 75% at the same time. Why? Because I tapped into that lost opportunities, we answered the phone more, we converted better, now we convert about 80% of our calls. So, phone training works folks, it you have the data to back it up, I’m just telling you, a lot of peoples phone training, they don’t have the data, so they can’t tell you if it really works or it doesn’t. Data itself is powerful, like you were saying before, all of that compounds each other, and so when you get all these new patients from external advertising sources in, and you do this referral system on top of that, everything just blossoms and blooms on top of that. Justin: it’s so, so compounding. Dr Phelps: yeah, that’s why I said, you can get to any new patient number you want to get to. But you can’t do it with just one thing. Justin: can you tell the viewers of a specific case study, I think they’re dying to hear about this, how this has worked, obviously for you it’s worked amazing, can you tell us about another dentist that has greatly benefited from what you’re offering? It could be Call Tracker ROI, or the Cialdini influence, anything like that? Dr Phelps: yeah, I mean just from an influence stand point of get several quotes and testimonials on my website from people that have gone through the workshop, and their case acceptance, and I always joke with them, I always say this whether I’m talking about influence like this for a small period of time for 2 hours or 2 full days, I tell them “if you do nothing else, but do this, take them down the price stairs that I talked about tonight, you give them you’re biggest and best option, but if price is an issue, you anchor them to something first, the consequences of not doing your treatment and what that’s going to cost them, and then go into what you want to talk about from there, I promise you on Monday your case acceptance will start skyrocketing and everything that you do’ and I’ve got testimonials from people backing that up. I have 1 guy who heard me do a 2 hour talk and I said ‘if you hear nothing that I talked about tonight but this, I promise you you’ll see results’, and they flew out to my 2 day workshop because they said “well Phelps said if I remembered nothing else but this, that it was going to work, and holy cow it worked, so I want to know more” as a result. From the contracting side again, I say doctors lose money all the time, because we find problems they didn’t even know they had, I call it ‘the gorilla in the room’, right you didn’t even know there was a gorilla in the room until we identified it, and now we can statistically make a plan to get out of it, get around it. So this one guy, loved billboards, he was just dead set on doing a billboard, and I said “okay, this thing is $2500 a month, are you sure you want to invest this money in that?” and he said ‘yeah’, and the other thing I don’t like to do is I don’t like to do long term contracts personally until I’ve tested it, proven that it works for me, and then I’ll sign a big old long deal on it, because I’ve already proved that it works. So he was going to get locked into a yearlong contract for this thing at $2500 a month, and think of it, that’s about $30 000 he was about to invest and I said “hang on, see if you can get an out, so say ‘let me get 3 months and let me get out at 3 months or if I stay on I’ll sign a contract for 15 more months'” so in essence he was given them a chance to get an 18 month contract, but he got a 3 month out, does that make sense? Dr Phelps: so we tracked and I didn’t tell him his data, we put tracking numbers on his website, on his billboard, so anybody who call related to the billboard we were capturing, and at the end of the 3 months I told him, I said “hey Doug, how do you feel, how do you think it worked, how do you feel like it worked?”, because many times we make our decisions based off emotion, feeling and the opinion of our front desk, whether it’s the reality or not, so I said “how did you feel”, and he said “oh man, people are always talking about it, traffics always backed out, out there, I know we got new patients because of it”, I said “okay, based off what you’re telling me, what you’re feeling, you would keep doing it, you want to stay on with it?”, he’s like ‘yeah, yeah I’m going to stay on with it’, and I said “okay, you ready for the data, I said okay, well you actually got 14 calls over the 3 months”, he’s like “okay, well that’s almost 5 calls a month that’s not too bad” and I said “yeah but the problem is, 12 or those 14 calls were your own patients, and it kind of went something like this ‘hey Doug, I’m driving down the road I see your billboard, you look great man, alright bye'” I said “in 3 months, you only got 2 potential new patient calls, and guess how many you’re team scheduled an appointment for? zero, so here we are at 3 months, you’ve spent $7500 on it, and you’ve got no new patients from it, do you really want to spend $30 000 more because you feel like it’s working, or we invest that money elsewhere, where I think we’ll have a better chance for ya” so obviously he dropped the billboard, we reinvested in something the next month in something called a newspaper insert, same amount $2500, dropped a onetime ad, and he got 25 new patients from it. Justin: wow, this part sparks an idea, a question in my mind, all marketing should be tracked, but what percentage of the budget are our listeners are investing into marketing, what percentage goes to tracking the results? This is a great example, a great case study, because the guy felt like the billboard worked, but you were able to save him $30 000 on a substantiate, another 18 months, and wow that’s incredible, so you know, I always have been interested in, with SEO, there’s a lot of, there’s kind of an enigma, until you have someone you can really trust, on the data. You know, with web design for instance, I’ll tell you, I’ve been working in marketing for years and years, nobody ever tells the owner of a website that it’s haggard, even if it is. And it’s kind of like that, you know, it’s like ‘hey, I’m driving by and I see you’re billboard’, but you know, in that case it might not have been the design, it might have been the effectiveness. But yeah, I think, a lot of times dentists might say to me “well, you know I know it’s not the prettiest website in the world, but my patients really like it”, why? Why do they think that? and it’s because you just ask them dead on, ‘hey what do you think of our website?’, and of course nobody wants to be a jerk, they say ‘oh, okay, I think it’s fine’ and they’re really thinking in their head, ‘well, I’ve seen better’. So, sometimes when you poll you’re patients, face to face, that’s not really the best way to track what works and what doesn’t. Dr Phelps: that’s a lot of subjective information. Dr Phelps: and again, its feeling, its opinion, its innuendo, but it’s not the truth. Justin: and you know, if you’re patients don’t want to get a hole drilled in their jaw to bad; they might just tell you what you want to hear. Justin: yeah, so, I love the objectivity, DR Christopher Phelps, I love what you’re doing for dentistry, you’re helping dentist’s understand what works, and what doesn’t work, and that’s great if a sales person wants to sell them a billboard and make them feel all warm and fuzzy inside, but it’s your job, to tell these dentist’s whether it’s working or not. And you know what I really appreciate about that is, you’re not biased, as to what to try. You know, based on your experience what works and what doesn’t work, but you’re not like ‘hey, we only do direct mail, or SEO and all that’, so I like that holistic approach. Dr Phelps: yeah, and you know I could give every ad source, every chance to work, and like I said, majority of time, in any market, whatever it is, they are bringing in calls, but the problem is, we’re not answering, we’re not converting, most of the time. But let’s say the other side, the ad don’t bring the calls in, is it the ad’s fault? Well really why isn’t it ringing because we dropped this ad? And it’s really 2 things; either we don’t have the right messages in our advertisement, to catch people’s attention, to our target market, right? So maybe our targets looking at it, but we don’t have the right message, or we have the right message but our market doesn’t look at that stuff, in that medium. And the example I give is, when I talk about sedation dentistry, I have done radio ads for 10 plus years, and one of my best sellers, and why I do radio to this day still, is because I advertise sedation, and I need people that drive 57 miles away to come to my practice because we do sedation, oral sedation. I asked this guy one time, because he literally drove 57 miles, and I said “dude, why are you here, seriously?” and he said “because you do sedation”, and I said “nobody in your town does sedation?” he says “no, no one in my town does it” he said ” I heard you on the radio, I want to be knocked out, this is what I’m here for”. So I want to the internet, to google ‘sedation, Salisbury, North Carolina’, and freakin’ 8 dentists popped up. Okay, there are 8 other dentists that could have done the sedation for him that I did, so why did they come to me? Because that message of sedation was the right message, but the target, didn’t use that medium to find that info, he used the radio, and a lot of these people do, alright. So that’s just an example. But, that’s one of the 2 things that the ads not working, either; you’ve got the wrong message for the market looking at it, or it’s the write message, but you’re market doesn’t see the message at all, but if you can fix those things, hone either one of those things, give the ad another chance, I promise you it’s going to work. Justin: right, you know new technology, just to kind of wrap up here, because we are coming to the end of our time, I would say that new technology can be a great marketing tool, but not if your patients are unaware of it. So, you talk about all the money, really the time that it takes to say, research a cerec machine; that’s a huge investment, to even get to the point where you hand over all that money, and yet, so many dentists’ that have a Cerec are not, it’s not even on the website, certainly not on the front page, front and center, so you have this huge internal marketing tool, that nobody knows about, like you said those dentists, they did sedation, they do sedation, they just wouldn’t do a good job or telling this guy, this gentlemen about it. Dr Phelps: yeah, their totally at large, they didn’t know. Justin: Yeah, well I’ll tell you, this has been really eye opening, I hope that the listeners and the viewers are able to take something from this, and I think that if there was one thing that they could take away, I think that what you’re describing in your speeches, that you say ‘just remember this one thing’ – could you recap that one more time for us? Dr Phelps: So remember any number you’re going to throw at somebody, they’re going to compare it to something else; the danger is, if we don’t control what they compare it too. Because whatever they compare it to, is not going to work out in our advantage, 9 times out of 10, it’s too expensive or whatever. So, what we have to think about is, if we want to do say, a crown, what’s going to happen to that tooth in say 6 months, in a year, 5 years, 10 years, is it going to better or is it going to get worse? – If it gets worse, how bad could it get? and if they down the road decide to get it fixed to get it back to where it is today, what is involved with that, and how much is that going to cost, and that’s the number that we anchor them to. The consequences of not moving forward today with treatment; people care more about what they stand to lose, then what they stand to gain, it’s a simply scarcity fact, it’s another principal. Then we go on to talk about what we really want to talk about, ‘but the good news is, you don’t have to pay $3600 for that root canal, because if we can do it soon, or today, it’s only $1200’, and when people ask how much are things, what they’re really asking is, how much are they out of pocket, not what your fee is. So the next level do is, what’s the price target with insurance, its $1200, but after your insurance plan it’s only $800, and we’ll take $400 today and $400 next time, how does that sound? So if you can anchor them to something first, and then take them down the price stairs, with more options and less fee’s, the more likely they are to leave with something, an appointment for something. Justin: I totally missed that first part about insurance because I guess I was assuming they were fee for service, but if there insurance, why would you skip that step, why would you go straight to what their portion is? I totally missed that part, I’m glad you repeated that for the rest of us. Man, I tell you what, let’s plug your websites, I think there’s more than one, there’s the wine and cheese one, there’s the Call Tracker ROI, maybe there’s one more website you’d like to plug before we sign off? Justin: excellent, excellent. Well thank you Dr Phelps, this is great, great material, I’m glad I had you on, and I’m sure the viewers and the listeners are happy as well, so. Thank you very much it’s been a huge honor. Dr Phelps: hey, my pleasure, and I just want to say to those listening, I talk to a lot of dental marketing people out there, who their nervous, because I want to make them accountable for things, and when I find somebody, like the Dental Marketing Guy here, who; I’ve seen his posts, we have similar philosophy and who gets it, and is really actually trying to help us in our business’s, it’s really actually my pleasure to be here and help out, any way I can for you. So I really appreciate what you do, and what you’re trying to do for the other doctors in our profession, so thank you for that. Justin: Thank you very much, our guest of honor Dr Phelps, you know where to reach him, if you have any questions for Dr Phelps, or for myself, please feel free to leave comments either below, on Dental Town, on YouTube, on the Podcast, on the blog, whether ever you find this video or the podcast, we’d love to follow up with you. And yeah, once again I’m Justin, the Dental Marketing Guy, From DentalMarketingGuy.com, we’re signing off, thank you Dr Phelps.